This amazing set includes golf putter split into 4 parts, a putting return machine and 2 golf balls. All presented in this beautiful case, measuring 40 x 30 x 9cm. 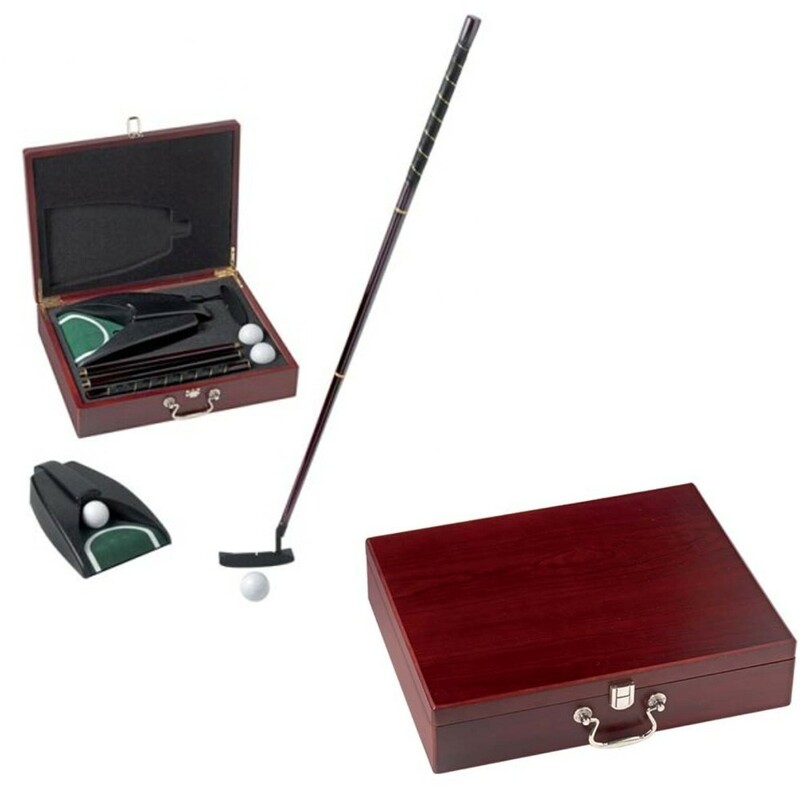 Personalise with a gold engraved plate on the top of the golf set box.